Brand new Mediterranean-style construction in the heart of Branson but tucked away in a beautiful gated community next to Branson Hills Gold Course. 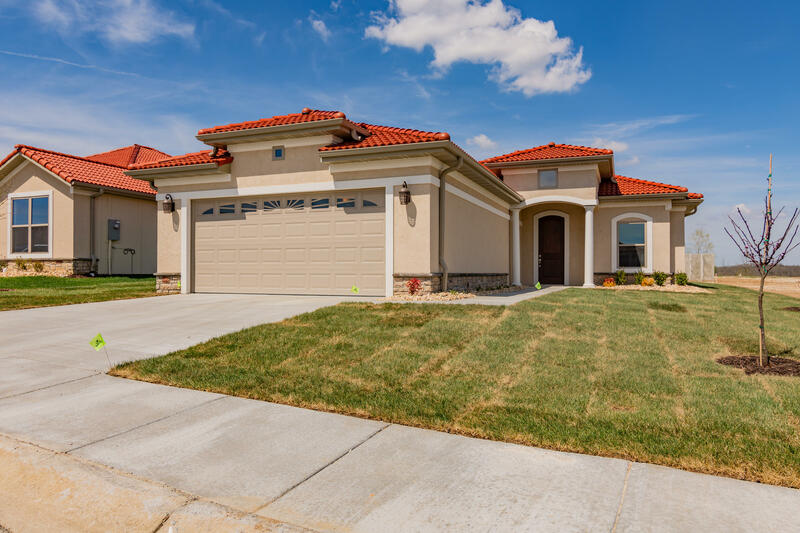 Classy and stylish, with high end finishes such as granite counters, 5 1/4'' trim, arched doorways, wood beam ceiling in the living room, marble walk-in shower, stone fireplace, and a spacious covered patio. Two roomy bedrooms each have a walk-in closet. The large den gives you extra space to set up an office, tv room, or craft room. And you don't have to worry about keeping a lawn mower because the association takes care of lawn care! You will love all of the beautiful details and fixtures that make this house special.